Professor Sidelle’s research is in Metaphysics, with special emphasis on the metaphysics of material objects, modality and personal identity. 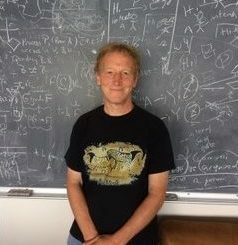 He is also particularly interested in the interface between philosophy of language and metaphysics, and issues in metametaphysics and philosophical methodology. Significant publications include: Necessity, Essence and Individuation: A Defense of Conventionalism (Cornell University Press, 1989); “A Sweater Unravelled” (Nous, 1998); “Is There a True Metaphysics of Material Objects?” (Philosophical Issues, 2002); “The Method of Verbal Dispute” (Philosophical Topics 2007) and “Modality and Objects” (Philosophical Quarterly, 2010). For something completely different – “The Answering Machine Paradox,” (Canadian Journal of Philosophy 1990).